Mizzi Studio manufactured and delivered this lush and bulbous reception desk as part of a Tom Dixon interiors renovation project for Metropolitan Wharf, Wapping. 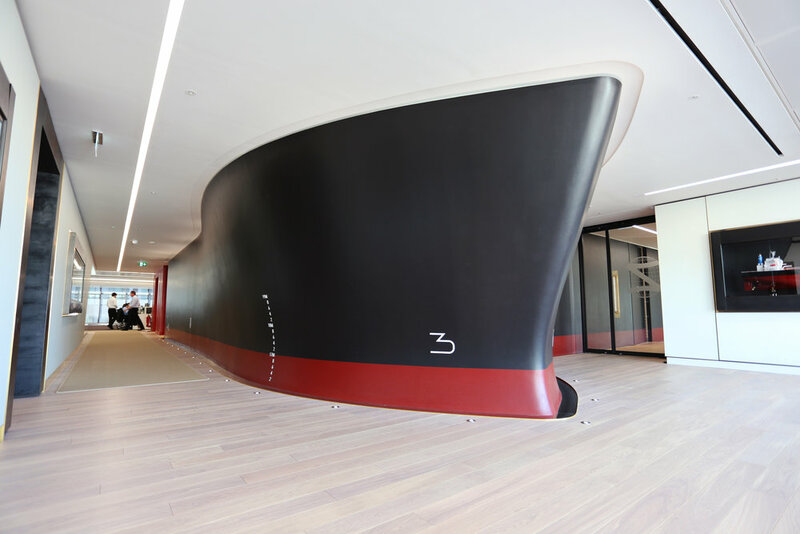 The desk was designed as a focal point for visitors and residents inhabiting the wharf building – which had been converted into a residential development. Its heavy, warm presence was intended to act as a gravitational force at the centre of the building’s open plan entrance lobby. The material choice for the stand-out desk was an integral part of its design story. Copper was chosen for its earthy, warm qualities – a beautiful metal that’s both lightweight and malleable, in other words, perfect for sculptural industrial design. It’s also long-lasting. It adapts to the elements, changing its inherent make-up to withstand deterioration with age. It wears its aging process on its sleeve – so to speak. And we wanted to bring that process to the forefront. Copper changes colour over time. As the metal is exposed to the air, elements begin to oxidise and a thin layer of corrosion forms. This layer, known as a patina, is copper ages, the patina will thicken and change colours. We understood that shying away from this natural process would detract from the charm and allure of the desk, so the copper was left untreated, allowed to change its appearance gradually over time and form its own landscape of materiality. The contemporary shape of the desk works even harder than a more traditional reception set-up would to enhance the material choice. It is solid, imposing, and ultimately – quite playful. 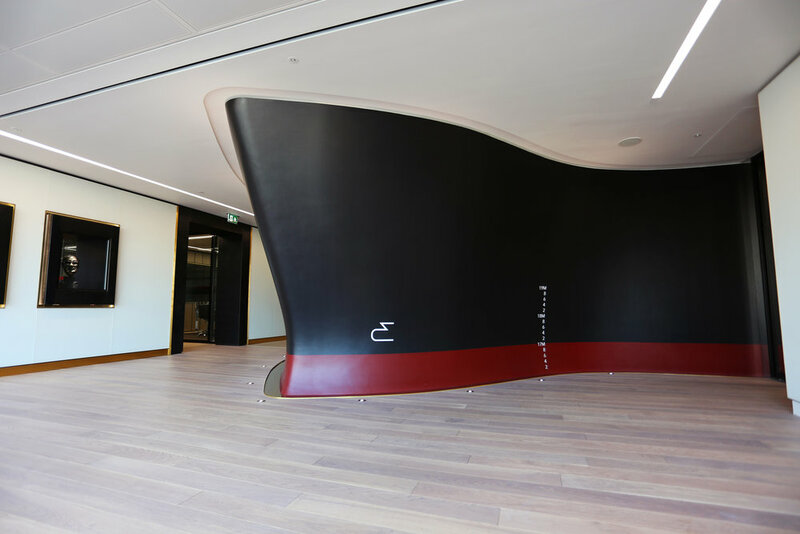 The bulbous corners simultaneously weight the desk, whilst giving it movement – as though a giant copper pinball has been catapulted across the lobby, bouncing off its corners, leaving a shiny, tunnelled trail in its wake. This gripping formal composition – married with the exquisite, exposed copper – results in an iconic entrance piece for its trendy warehouse home.